What does a person do with a book? 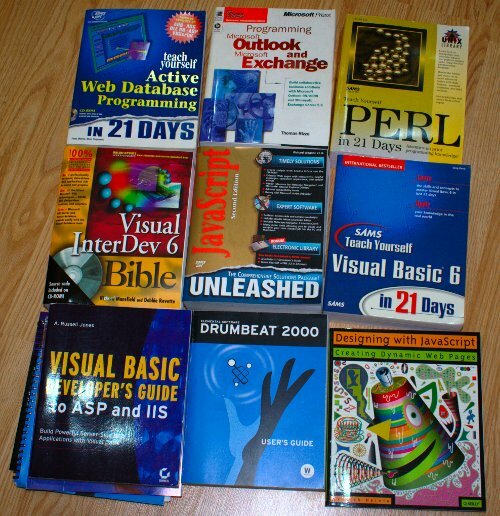 Back 10 years ago when the internet was still fairly new to a lot of people we used to go to the bookstore and pay $50 per book to learn how to develop things for the internet. --Now the internet has largely replaced the bookstores. I am cleaning out my old (home) office as I work on moving into my new (home) office. I had several boxes of books that are completely out-dated and can be completely replaced by a few finely tuned Google queries.